NIBLETT - SWINDON, THIS IS SWINDON. Founded in 1845 by Charles Niblett in either Stroud or Cheltenham. By 1874 Chas Niblett & Son had a shop at 7 Farringdon Street, New Swindon and were advertising as Aerated Water Manufacturer and Grocers. By the 1880's they had moved to 20 Cheltenham Street, New Swindon. 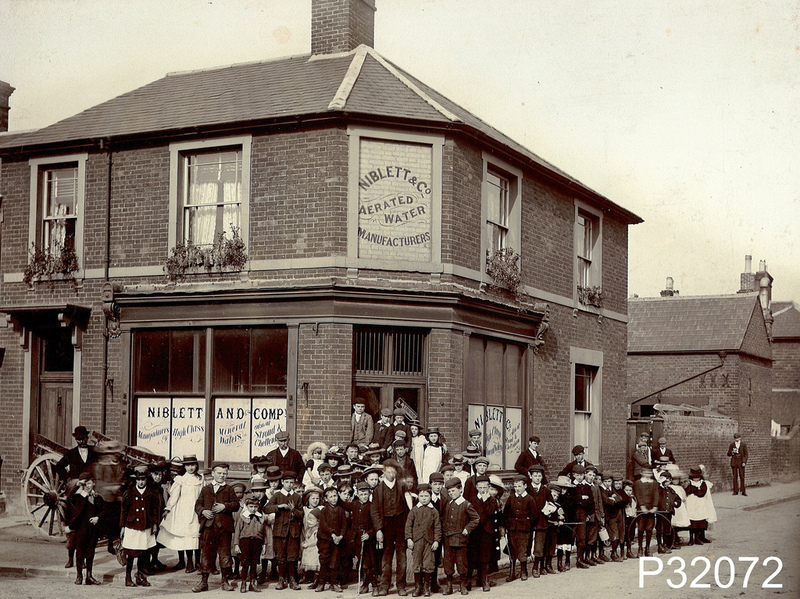 The picture below is dated 1890 and shows Niblett & Co's Swindon branch in Cheltenham Street, the building was lost in 1901 due to the widening of Milford Street. By 1902 they had moved to Lagos Street, the future home of TILLEY & BOWN and later J.R.BOWN and by 1912 Niblett had left Swindon. 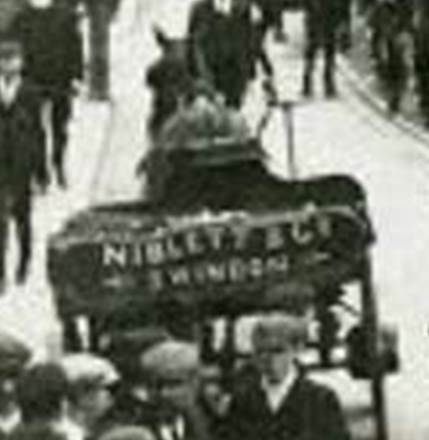 Niblett & Co's horse and cart heading south on Wellington Street, Swindon in 1908. The Queen's Tap is immediately on the right of the picture.